Scotland is a country in the UK that is steeped in tradition and national pride. That extends to its intriguing cuisine. Forget all the negative clichés about Scotland being a land of unhealthy eaters. 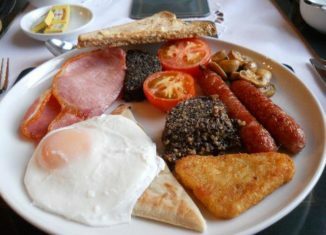 If you are heading to Scotland for holiday of any length, make sure you try as much of the food and drink listed below. 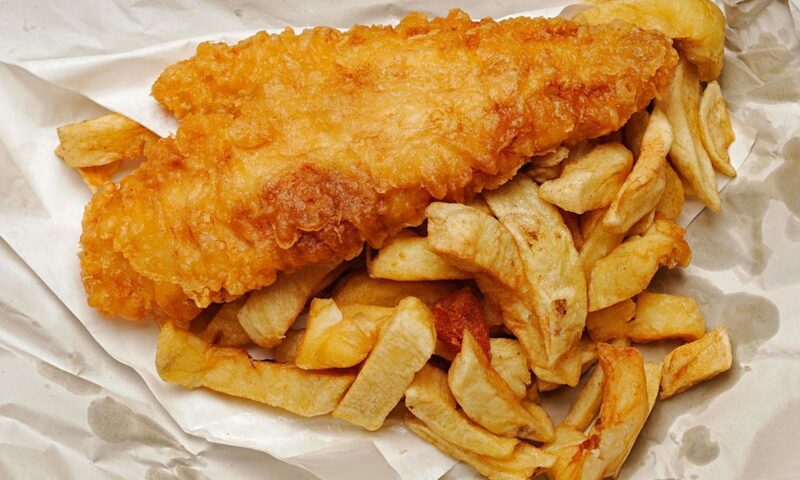 Fish supper is a British classic, but as Scotland is famed for its seafood and some truly spectacular coastal towns and seaside settings, a trip to Scotland should include a trip to the chippy. If you are in Edinburgh, and feeling adventurous, try the fish supper served with salt ‘n’ sauce, which is served with salt, vinegar and a very tangy brown sauce. Elsewhere it is best just to have it with salt and vinegar and maybe a pickled onion or two. The batter should be crisp with fluffy fish on the inside, as should the chips too. 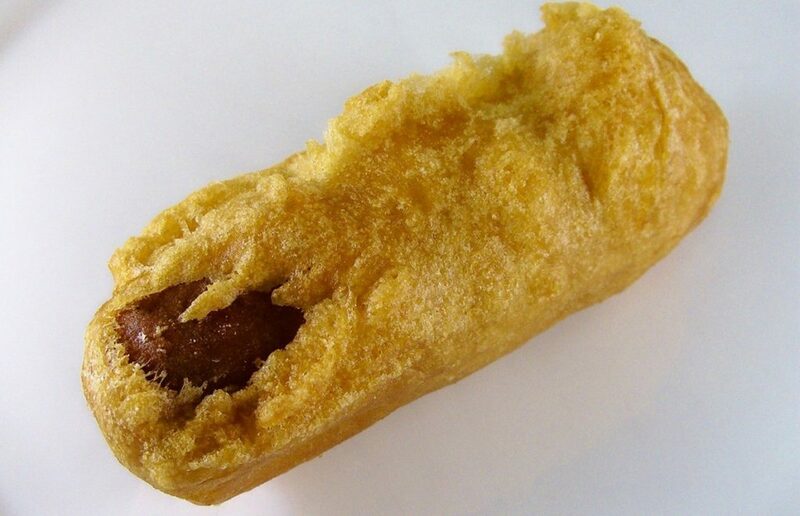 Sticking with chippies for a moment, another delicacy favoured north of the born in the UK is the humble battered sausage. Using the same batter as the fish, a battered sausage can be purchased as a single portion or as a ‘supper’ a word denoting here, meal, with chips. Our defence for Scottish food not being unhealthy hasn’t really gotten off to a good start with these first few items. Anyway, this is not what people in Scotland eat on a daily basis. 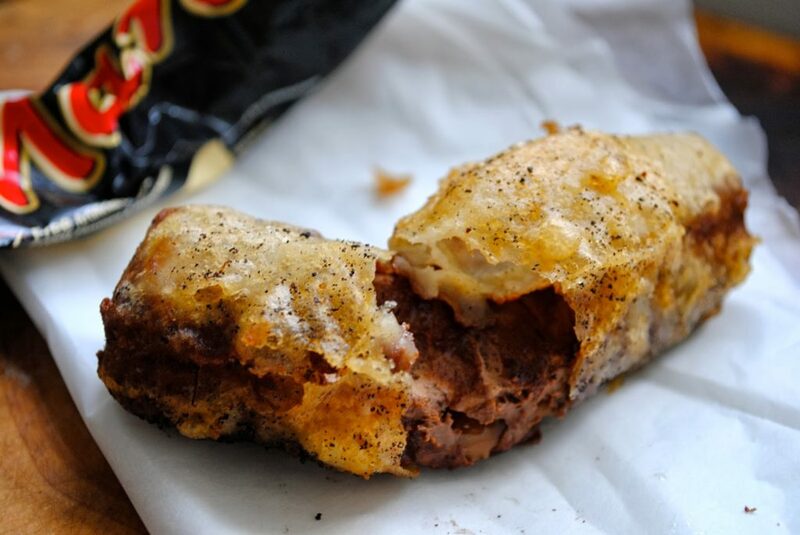 However, while you are at the chippy and fancy a sweet treat after your fish or battered sausage supper, you should definitely try a battered Mars bar, or deep-fried Mars bar as it’s often known. Despite how it might sound, this is actually an incredibly decadent, exceptionally rich and sweet snack that works on so many levels. Be careful though, as the batter holds all the chewy melting goodness, once you’ve bitten into it you are facing a race against time to finish it before you mess yourself. We’ve taken quite a jump here, but as we’ve mentioned Scotland is famous for its seafood and one of the dishes that really showcases this is Cullen Skink. 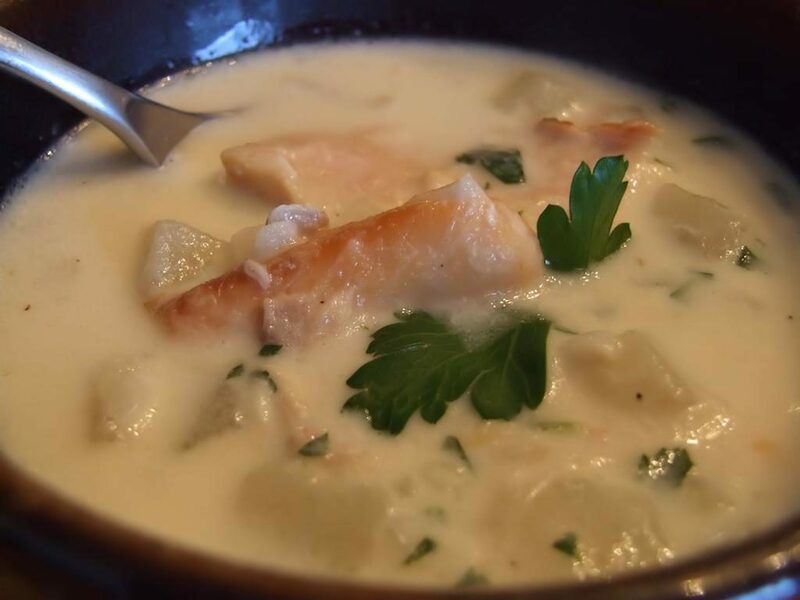 This is a thick soup made with onions, potatoes and smoked Haddock. Traditionally, it would be Finnan haddie, but really any dyed smocked haddock can be used. It originates from the town of Cullen in Moray, but can be found in eateries up and down the country. 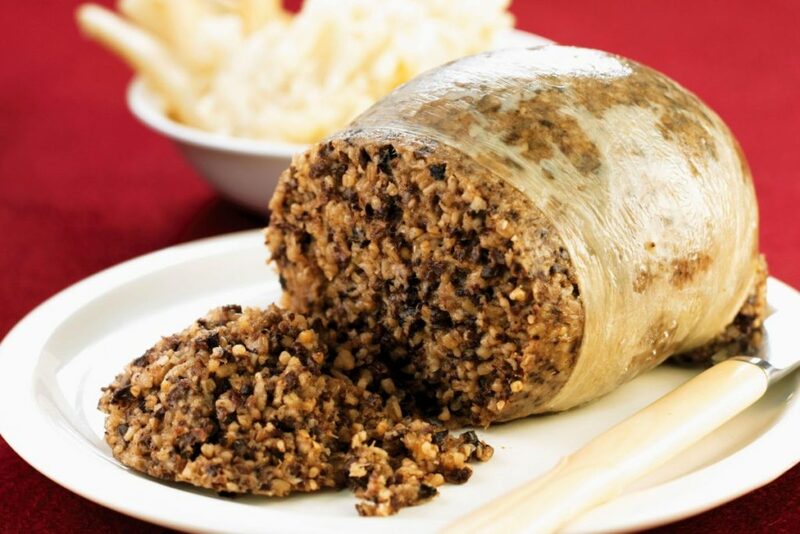 We could hardly write up a list of great Scottish food without mentioning the granddaddy of them all – Haggis. This is so ingrained into Scottish culture that in a similar way to Turkey being associated with Christmas and chocolate with Easter, Haggis is associated with, for many Scots, the most important day of the year, Burns Night. A traditional Burns Supper, a tribute to Rabbie (Robert) Burns, the most famous and beloved Scottish poet, includes Haggis as the main meal. This is one of those dishes that are best tried before you think too carefully about it, because despite it featuring sheep’s pluck (that is, the heart, lungs and liver) minced up and mixed with onion, suet, oatmeal, salt and spices. Despite it being cooked and served inside an animal’s stomach (though this can be artificial these days), Haggis is delicious. Following on nicely from Haggis is its main accompaniment. neeps and tatties is a mashed-up mixture of turnip (neeps) and potatoes (tatties). A variation from Orkney, in the north east of the country, features chives and butter and is called clap-shot. 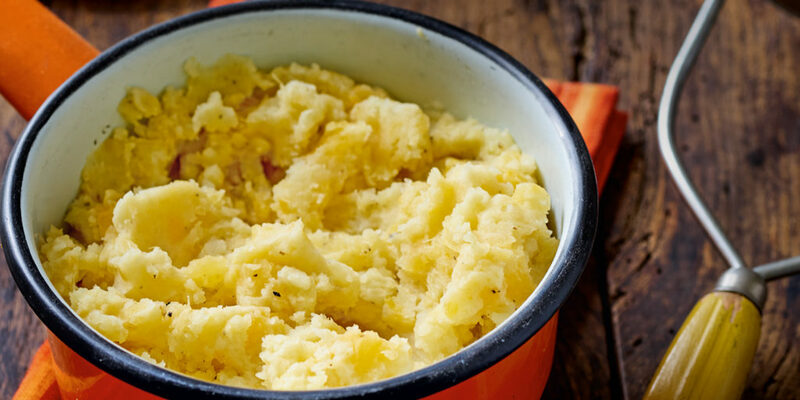 Neeps and tatties are so versatile that they can be served with just about everything from fried eggs and bacon to steak and boiled vegetables. 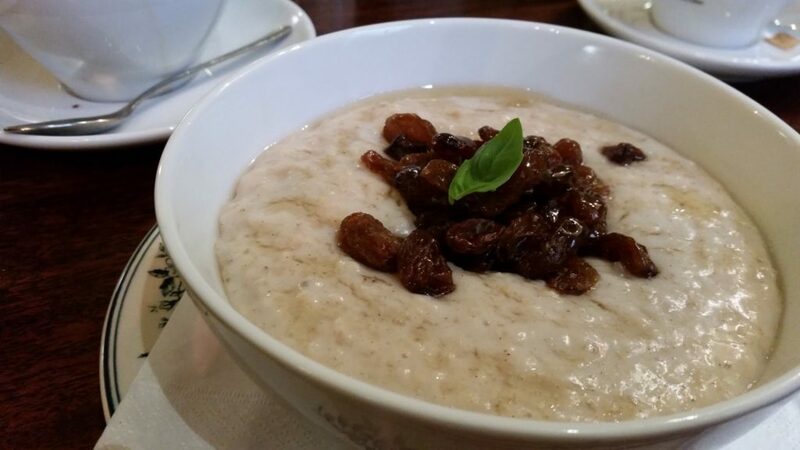 The perfect start to a cold and brisk morning, porridge is essentially rolled oats mixed with water and milk. However, unlike other parts of the UK and world, Scots traditionally prefer to eat porridge flavoured with salt. It works, trust us, in the same way salted caramel and salted popcorn works. 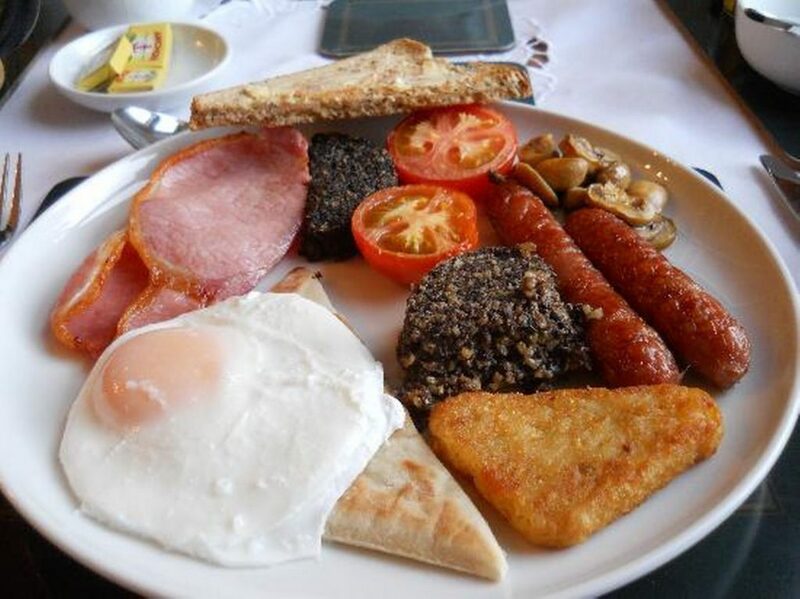 This is just the same as a full English fried breakfast, with the addition of tattie scones (mentioned below), lorne sausage (a square shaped sausage) and black pudding (though you can avoid that if you wish). So, expect eggs, bacon, beans, tomatoes and even some buttered toast. Wash it down with a cup of strong tea. 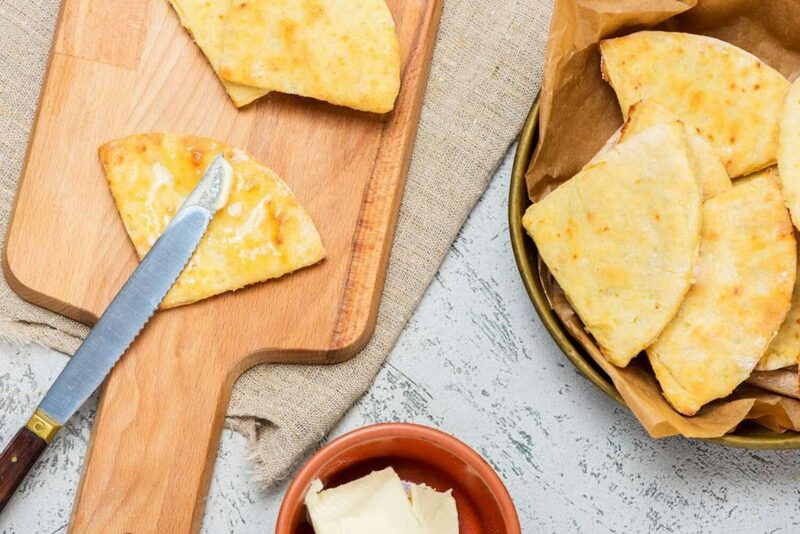 Tattie scones, also known as potato scones, are a mixture of flour, potatoes, salt and butter that is rolled into thin triangles and cooked in a pan. Although they are normally served with a Scottish breakfast, they are versatile and will work with just about anything savoury. In just about anywhere in the world, the biggest selling soft drink/soda is Coca-Cola, with the exception of Scotland. 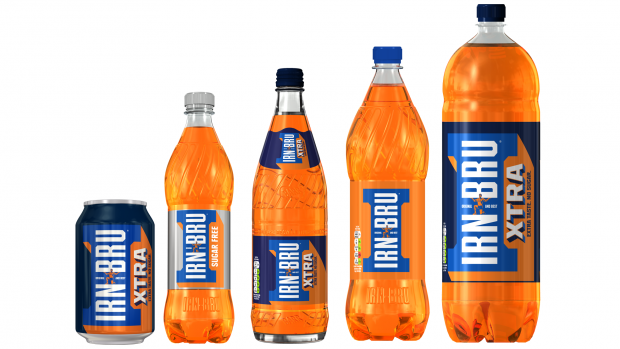 Irn-Bru takes the top spot. This is very hard to describe, as it has a fruity flavour, but one that you can’t actually discern as being a specific fruit and a metallic aftertaste. It’s incredibly sweet, so you are warned, and hated by dentists (for obvious reasons). 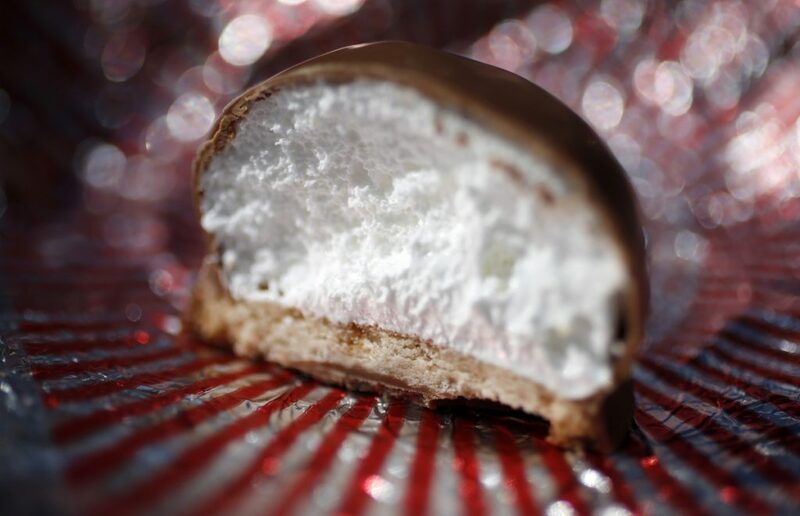 Tunnock’s Tea Cakes are another sweet treat that are famously found in Scotland. They have retro packaging that has not changed in decades and consist of a thin biscuit base with a marshmallow filling on top that has been encased in chocolate. Divine, but moreish, so be careful or you might just eat five, six or maybe even ten without batting an eyelid. 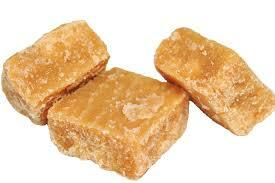 Sometimes referred to as butter tablet, this is a kind of fudge that is made from butter, sugar and condensed milk. It is very firm to touch, has a crystallised texture, but as soon as you bite into it, be prepared for a taste explosion as it crumbles and melts. As with all sweets in Scotland, it’s very rich and sweet. The best places to source these kinds of foods is from local establishments or at one of the many food festivals held throughout the year. to find one near where you are in the country, check out EatDrinkSeek.